Participating with Carnegie Mellon’s D.A.X Group in transnational, interactive telecommunications events in the mid 1980’s introduced Carolyn Speranza to the fertile nexus of art, technology and collaboration. As a web master, Speranza designed sites for an internet start-up during the World Wide Web’s fledgling years of 1995 – 7. She was one of a small group of artists who were the first to develop online communities using then nascent technologies to mirror real world communal interaction. As a STUDIO fellow, she designed and administered “Community Forums Online” for the Andy Warhol Museum in 1999, and brought the museum into a partnership with Intel Corporation, a relationship that transformed the museum’s use of the internet. 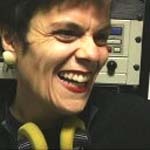 Speranza began working at the STUDIO with artist Lisa Link 1992-3 to complete a commission for Pittsburgh’s first digitally designed, printed and portable public art mural, “Literacy Windows.” In 1996 Link and Speranza became Fellows at the STUDIO and co-authored End of the Line: Building Bridges with Pittsburgh’s Busways. The two women were noted for their approach to engaging non-artists in artistic collaboration, and for being among the first to give public art an added, accessible dimension by using the World Wide Web. Speranza and Link’s joint projects have been published in art critic Lucy Lippard’s book, Lure of the Local- senses of place in a multicentered society and in theorist Malcolm Mile’s book, Uses of Decoration: Essays in the Architectural Everyday. Speranza’s Net art has been published in the textbooks, The State of the Real: Aesthetics in the Digital Age and Studies on Themes and Motifs in Literature: Frames, Borders, Limits Interdisciplinary Perspectives. Her work has received funding from the Heinz Endowments, Pennsylvania Council on the Arts, Central Michigan University, The Ohio State University, and with Lisa Link, the National Endowment for the Arts.